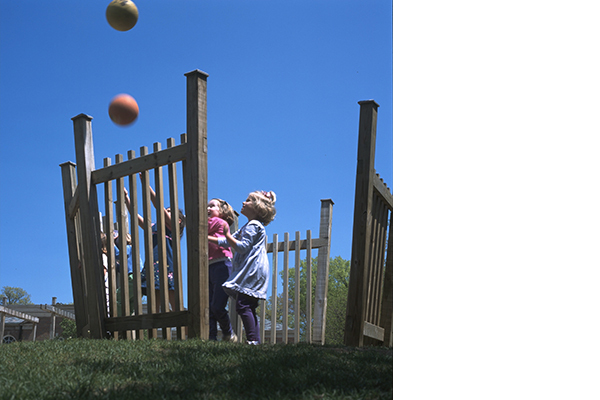 Striving to foster each child’s potential, the outdoor environment is safe, secure and accessible. 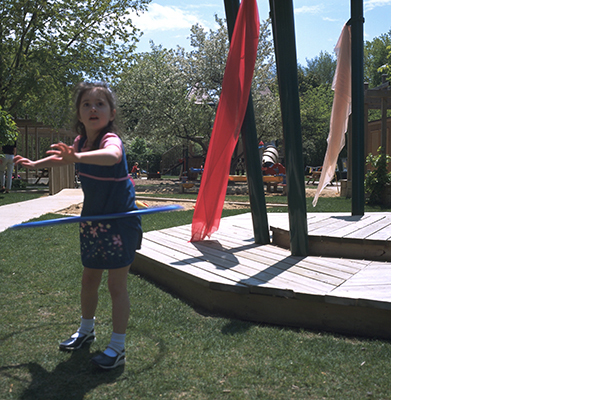 It is a place where children are free to make choices, to become actively involved in decision-making, and to have physical and cognitive experiences out in the open. In the classrooms, children surround themselves with rich and engaging materials. Taking that concept outside, areas such as the Musical Forest with wind chimes and speaker tubes, the Infinite Loop Tricycle Path with drive-through, the Crazy Box pavilion climbers, and the Theme Gardens with their seasonal offerings were all created to provide interest, challenge, and stimulation. 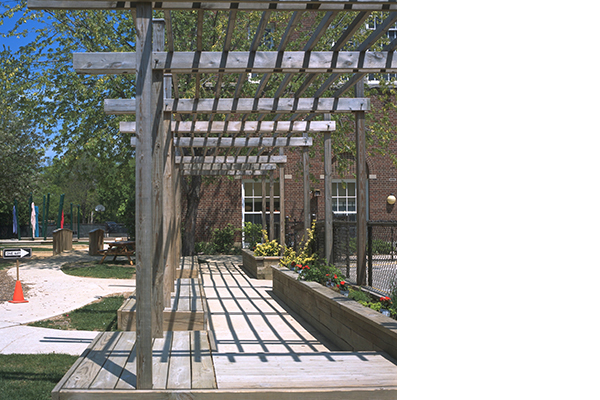 The Outdoor Learning Environment is an invigorated variant of more traditional, sedate (cookie-cutter) playgrounds seen the world over. 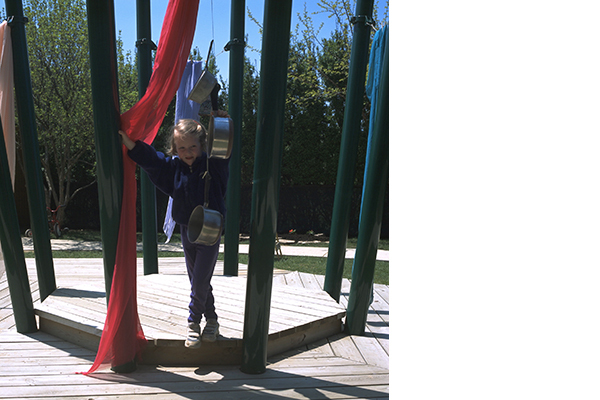 The nursery’s approach to early childhood education, developed in the preschools of Reggio Emilia, Italy is based upon children building relationships. While promoting investigation and exploration, the careful arrangement of the landscape allows children to forge a relationship with nature that develops naturally. 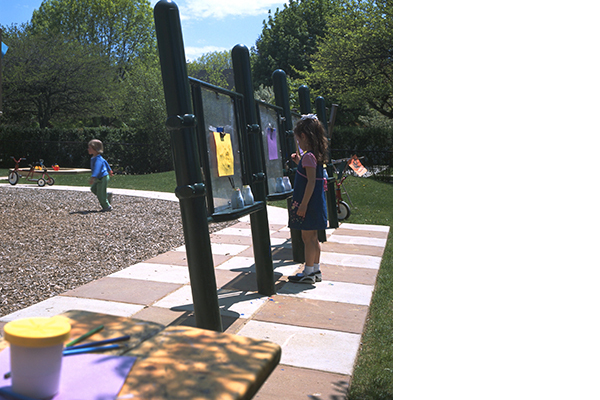 Children can freely navigate the outdoor learning environment, not requiring the added assistance of teachers. 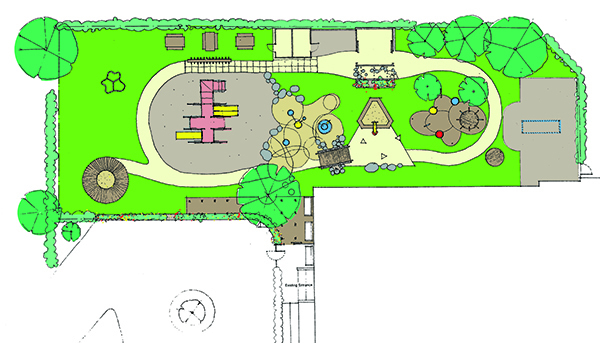 In fact, learning is enhanced and strengthened by a landscape that has been designed specifically for the child with its meandering path, hills for play and reflection, and areas of collaborative play. In a paradigm shift, the physical environment and natural world truly becomes the third teacher. Want to read more about this landscape of learning? Please check out Landscape Architect online.